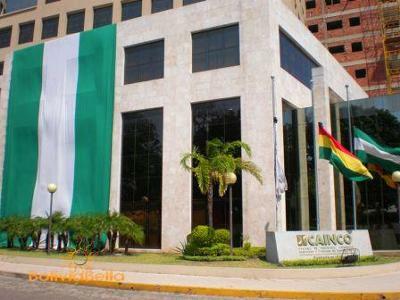 Today in Santa Cruz Bolivia we celebrate the "Día de la Bandera Cruceña" (Santa Cruz Flag Day). The green-white-green flag was created on 24 July 1864; however, the 24th of July was not officially declared as "Santa Cruz Flag Day" until 117 years later on 24 July 1981 by means of a resolution issued by the Santa Cruz Civic Committee. 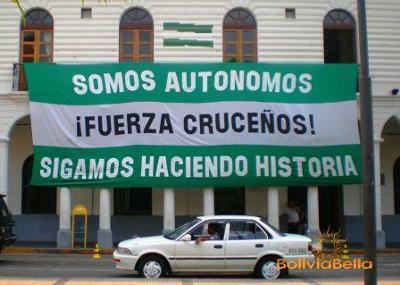 Today, because the department of Santa Cruz led the movement for state autonomy (which is now guaranteed for all 9 Bolivian states in the national constitution), the flag of Santa Cruz is often mistaken as the official autonomy movement flag, something which cruceños don't appear to mind much, as they tend to display it themselves for this reason, as you can see in the photos above. 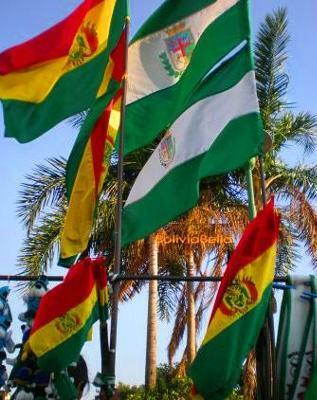 Read more about Bolivia's national and state flags here.